New Micker Pro all in one mini PA; microphone and speaker all in one. 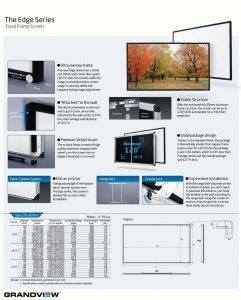 New narrow bezel Edges Series fixed frame screens from Grandview. 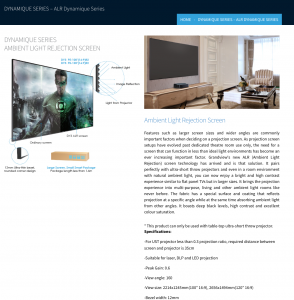 New ALR, Ambient Light Rejection fixed frame screens from Grandview; for ultra short throw projectors only..